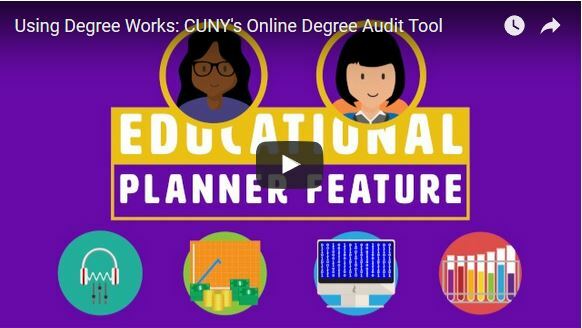 Degree Works (formerly known as Degree Information for Graduation, or DIG) is an online tool that tracks a student's academic progress toward graduation. 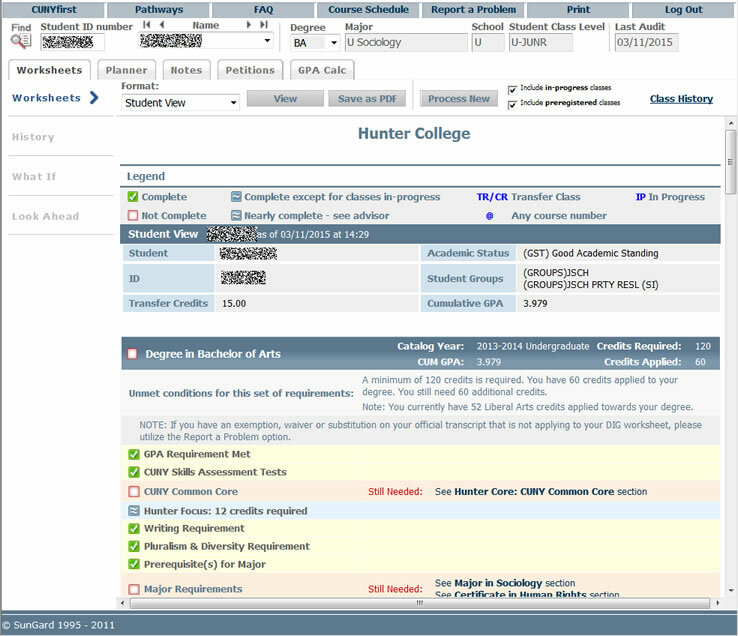 Though Degree Works is not an official record of your courses (your transcript is the only official record), it's immensely useful for organizing the information from your transcript in a way that you can see what’s been completed and what’s still missing for the GER/HCR and major(s). You can also use the "What If" function of Degree Works to explore a potential major or minor before declaring it. 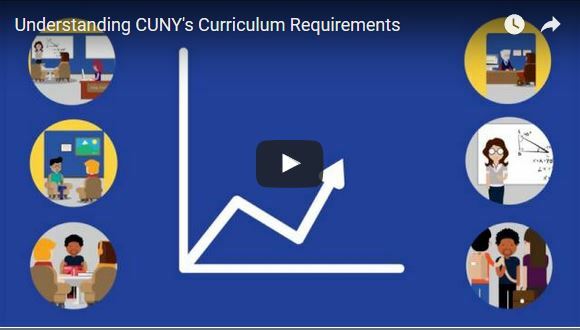 You can access Degree Works by logging into your CUNY Portal and choosing Student Advisement Degree Audit from the main menu. 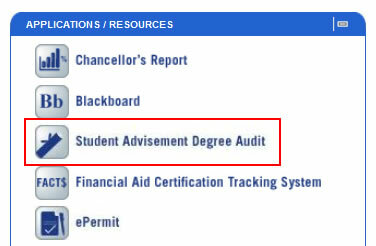 Useful onformation on Degree Works, including tutorials, FAQ, and troubleshooting are available on the How To page. 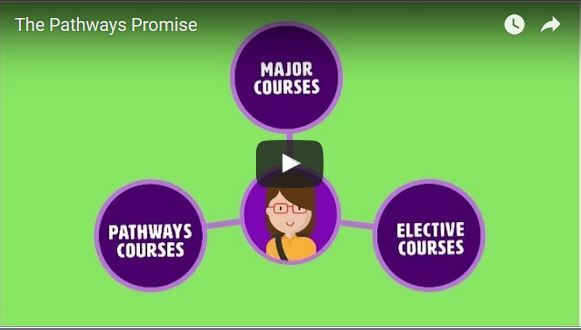 Learn how to best use and interpret Degree Works by scheduling some time with an advisor.